Grandparents are incredibly important to their grandkids. Grandparents are uniquely positioned to spiritually influence their grandkids. Grandparents have a Biblical mandate to do so. Most Christians agree with these statements about grandparents, but so little is being done to challenge and equip this huge group — 7.1 million strong in Canada — of potential influencers. Yes, the grandparenting relationship has incredible potential for discipleship, but it is unrecognized and under-resourced. For example, many churches have a family ministry, which focuses on parenting, but nothing on grandparenting. And grandparenting is too often associated with a seniors’ ministry, which results in younger grandparents being overlooked and ignored. Resource providers, like speakers, authors, and Christian ministry organizations, largely neglect this audience as well. Finally, Christian grandparents themselves get caught up in a “retirement culture” that pushes them to pursue their own pleasure rather than invest in their grandchildren. Grandparents with incredible potential to influence the next generation — and a Biblical mandate to do it — are generally overlooked, under-resourced, ignored, and mislabeled. Christian grandparents are to influence multiple generations for Christ. Grandparents themselves often lack vision, need support and community, or don’t know of tools which can help. We believe it is time to chart a new course — to engage this incredible potential by envisioning, encouraging, and equipping grandparents — through ministries in the local church. To know that our legacy of faith in Jesus Christ will outlive us in our grandchildren and the generations that follow. To build a coalition of ministries that champion intentional, Christ-like grandparenting. To be a platform for coalition ministries to engage the Church in the task of envisioning and equipping grandparents to impact future generations who know, love and serve Christ. Josh Mulvihill is the Executive Director of Church and Family Ministry at Renewanation. 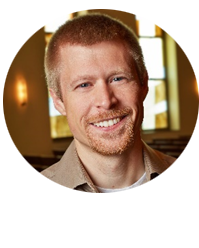 Josh has served as a pastor for nearly 20 years, is a founding member of the Legacy Coalition and RootedKids.com, and has a PhD from the Southern Baptist Theological Seminary. He is the author of Biblical Grandparenting and Preparing Children for Marriage. He is married to Jen, and they have five children. For over 50 plus years, Glen and Lois have demonstrated their love of Christ by loving countless others around the globe. Whenever you hear their names mentioned, there will be testimonials of how their servant hearts and unwavering love and support have impacted the lives of thousands. 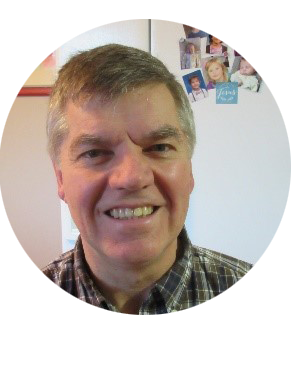 Glen and Lois have pastored in various churches and communities across Canada and through their ministry, many have become followers of Christ as well as becoming leaders under their/others ministry. 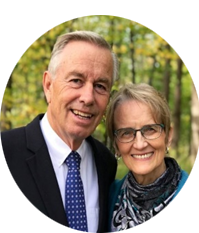 Since 2015, Glen and Lois continue to serve as Elders over the Leadership of the Fellowship of Christian Assemblies (FCA) churches across Canada as well as providing spiritual insight into the political trends, both across Canada, the province of Alberta and the world. Glen and Lois have two children, Dan (Elaine) and Karlene (Bill), and four grandchildren that are all near and dear to their hearts. Glen and Lois, although separated by many miles from their children throughout their years of ministry, have always found ways to stay connected with their family and friends. You will be amazed at how God continues to use them relationally with their own family, and also with countless others who have adopted them as their mom and dad and grandma and grandpa! Raised on a small mixed farm in Saskatchewan, Dr. Sloan obtained his B.Ed. and M.Ed. in Educational Administration from the University of Saskatchewan and his Ph.D. in Educational Administration from the University of Alberta by the time he was 30. He has served in a variety of educational leadership positions including Principal, Director, Associate Superintendent, Superintendent/CEO, Alberta Education’s Deputy Minister and Senior Education Advisor to the Alberta School Boards Association. As president of Sloan Consultants Ltd., he currently provides governance and leadership services across Canada, largely but not exclusively within the education sector. His three daughters have given him 23 grandchildren. 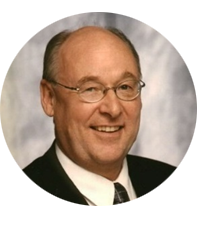 Ralph Rintisch has been a follower of Jesus since 1976, and a pastor with the Christian and Missionary Alliance since 1982, He is presently serving the Westlock Alliance Church where he as been the senior pastor since July of 2011. He, and his wife (and best friend Brenda), have three children and 9 grandchildren. 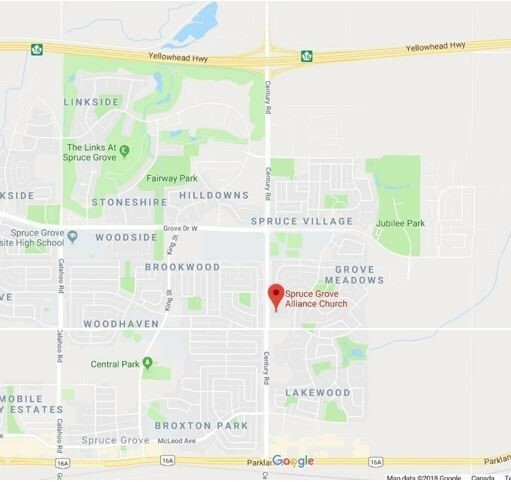 Peter was born in Sault Ste. Marie, Ontario in September 1937, one of 10 children. Both of Peter’s parents were very active in Christian ministry as lay-people. As a family they did regular family devotions and took part in ministry. Peter’s father started a “street meeting” in the downtown part of Sault Ste. Marie that went on for 40 years. Peter came to the Lord for salvation at about the age of 14. He moved to Edmonton where he completed his High School, going on to study electrical engineering and working for Northland Utilities. In 1958 he fell off of a power pole and broke his ankle and back. This was the turning point in his life. While in the hospital he re-committed his life to Christ and determined to serve the Lord in some full-time ministry. After recovering he returned to work in engineering but realized God wanted Peter to work for Him. Peter attended Berean Bible College from 1960-1963. Mary and Peter were married in 1962. As active members of Beulah Alliance Church in Edmonton, they were commissioned there in April 1965. This began their 43 years of service with Africa Inland Mission. Their ministry began with AIM Kenya and they served there until the year 2000. Both Peter and Mary have had a lot of experience working with the Kalenjin language group of Kenya and both are fluent in this language. They worked in the Rift Valley of Kenya over a 25-year period of time. While working among the Kalenjin people, they were involved in helping their church in three main areas: Christian Family Living, Stewardship, and Challenging the Kalenjin Church to reach across their borders to the neighbouring tribes, who were their enemies, with the good news of Jesus Christ. For 10 years they worked in the city of Nairobi, where they were involved in administrative work. 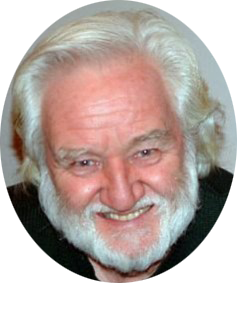 In their last years in Kenya (1996 – 2000), Peter headed up AIM’S work in Kenya as Kenya Branch Executive Officer. At that time, the AIM Kenya branch office had 230 missionaries serving with AIM. God has blessed Peter and Mary with 4 children and 8 grandchildren. God has blessed them in their responsibilities as parents and Grandparents, and now as they begin their role as Great-Grandparents. Dr. Tony Evans is one of the America’s most respected leaders in evangelical circles. 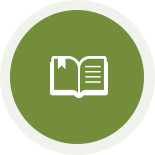 New and veteran pastors alike regard him as a pastor of pastors and a father in the faith. The first African-American to graduate with a doctoral degree from Dallas Theological Seminary (DTS), he served as an associate professor in DTS’ Pastoral Ministries Department in the areas of evangelism, homiletics and black church studies. He continues to serve DTS on the Board of Incorporate Members. Dr. Evans holds the rare honor of serving as chaplain for the NBA’s Dallas Mavericks over the last three decades, the longest standing NBA chaplaincy on record. He is also the former chaplain of the Dallas Cowboys. Dr. Evans has served as the senior pastor of Oak Cliff Bible Fellowship for over 40 years, and serves as president of The Urban Alternative. He has authored over 100 books, booklets and Bible studies. 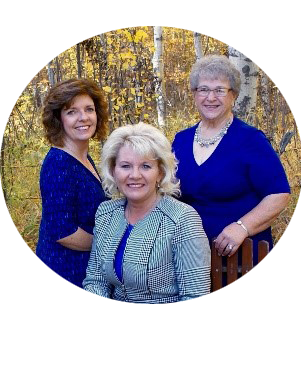 Joyful Melody Trio comes from Barrhead, Alberta is one of Alberta’s busiest groups in Southern Gospel Music. Widely known as a pastor’s wife & two farmer’s daughters who join together in word & song, to form the Joyful Melody Trio since October of 2002. Many people believe these ladies are a mother and two daughters, but nothing could be further from the truth. These ladies are not blood-related, but are sisters in Christ. Their 3-part Southern flavoured harmony consists of: Colleen Durocher singing the high soprano & lead vocals; as Cari Blum sings the alto part & shares lead; with Joyce Dietrich filling the low-end with contralto. Their lives are living stories of God’s grace & faithfulness, infused with the power of prayer as they share across Central & Western Canada, including the Northern United States. With a love for music, but most importantly for our heavenly Father, the Trio desires to be labourers in His harvest, as they encourage & challenge those who listen to their music & ministry, to a deeper walk with the Lord Jesus Christ. 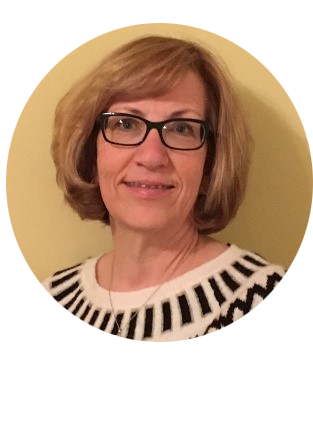 Lorraine grew up in the farming community of Dapp, AB and developed her love of Christian music at a young age. Being part of a small church gave her many opportunities to serve in ministry but her greatest love was always music and sharing that love with others. After graduating from university, her adventures led her to Fort McMurray where she served in education, church ministry and community programs for over thirty years. It was during these years, that Lorraine’s ministry in music developed into a deeper passion, that of leading others to a closer relationship with Christ through praise, worship, and also prayer. In 2013, she and her husband Doug, retired from their careers in Fort McMurray and moved to Morinville, where Lorraine currently serves as interim Principal of Morinville Christian School as well as leading the Heritage Nights of Music three times per year. Imagine the scene of a piano, a living room, and voices exalting the name of Jesus and you will find real joy unspeakable, filled with His glory! Lorraine looks forward to sharing these moments with music…. with all of you. Prepare to be entertained as Dirty Andy & the Mudslingers take you back to some of the greatest country music of all time. Their sultry sounds satisfy the senses like a summer breeze blowing through the trees. This five or six piece band is steeped in the tradition of great music as well they have a testimony of faithfulness to our great God. So prepare to get down and dirty with Dirty Andy & the Mudslingers. For questions you may have regarding upcoming conference click here. “Only be careful, and watch yourselves closely so that you do not forget the things your eyes have seen or let them fade from your heart as long as you live. Teach them to your children and to their children after them."